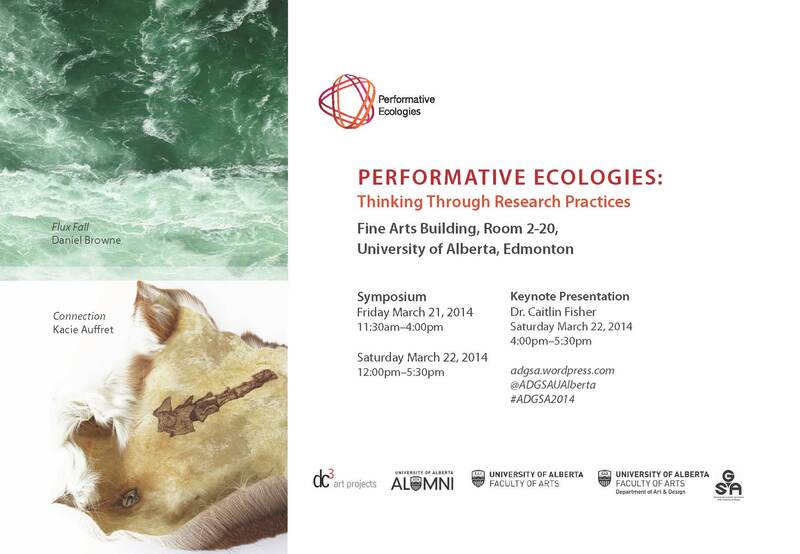 We are pleased to announce that the ADGSA will be hosting Performative Ecologies: thinking through research practices, a three-day interdisciplinary symposium (March 20-22, 2014) and exhibition (March 21-April 4, 2014). Now Hear This: Festival of New Music with guest artist R. Murray Schafer will include a wide array of concerts, talks and other events in Edmonton through the weekend of March 20-23. Donna Haraway, author of A Cyborg Manifesto: Science, Technology, and Socialist-Feminism in the Late Twentieth Century and Situated Knowledges: The Science Question in Feminism and the Privilege of Partial Perspective, will be giving a public lecture at the University of Alberta on Monday, March 24. Please review the following pdf document for paper and artwork submission guidelines and details. The deadline for submissions is January 15th, 2014. Dr. Lucian Gomoll is an Andrew W. Mellon Postdoctoral Fellow at Wesleyan University in Connecticut. He earned his doctorate in the History of Consciousness program at the University of California Santa Cruz; his Master’s in Performance Studies at New York University; and his Honours Bachelor’s in Women’s Studies and Literature at the University of Michigan, Ann Arbor. Dr. Gomoll served as Director of Museum and Curatorial Studies at UC Santa Cruz from 2009-2012, and hosted lectures by scholars such as Griselda Pollock, Amelia Jones, Amy Lonetree, and Irit Rogoff. In 2010, he organized with Lissette Olivares the international conference The Task of the Curator: Translation, Intervention and Innovation in Exhibitionary Practice at UC Santa Cruz, with James Clifford as keynote speaker. His research has been supported by a Eugene Cota-Robles (UC Diversity) Presidential Fellowship, a James and Sylvia Thayer Fellowship, an Irvine Memorial Fellowship, a Porter Fellowship, and an Institute for Humanities Research Dissertation Fellowship. 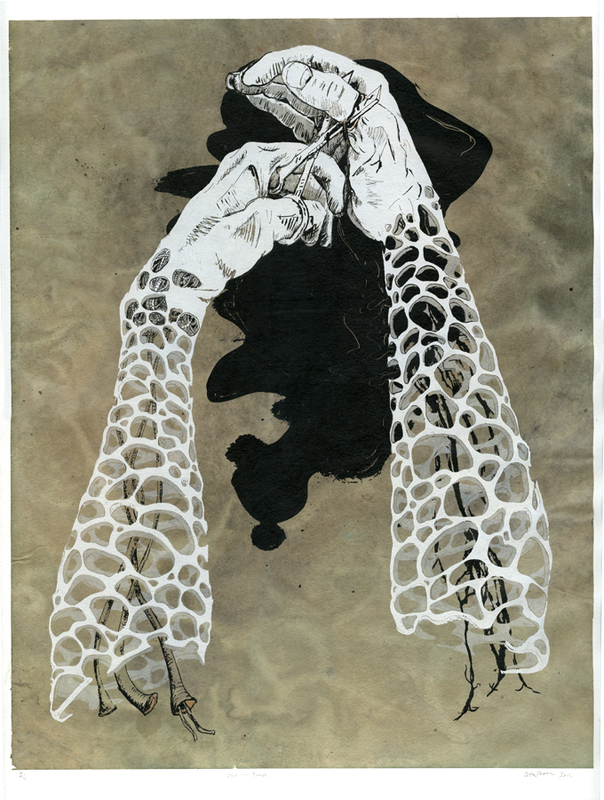 Curators mediate and subtly transform our engagements with art. 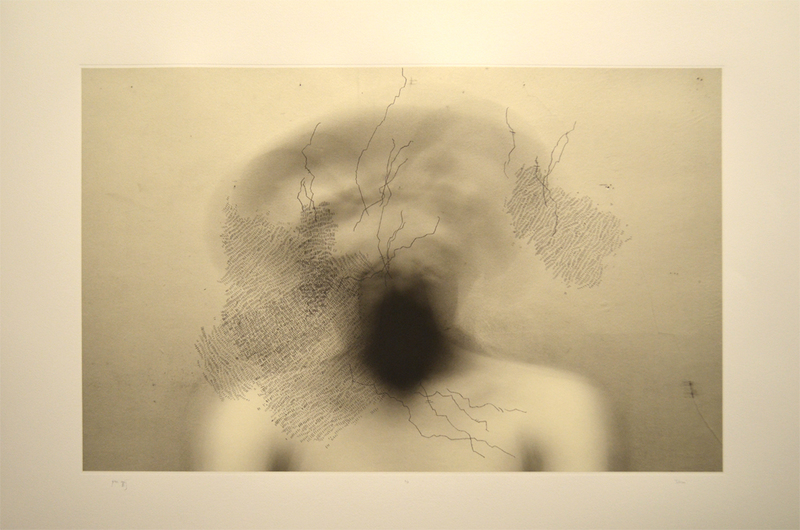 They make decisions to highlight or deemphasize in their presentational milieu important aspects of art such as form, themes, historical contexts, cultural contexts, artist intentions and creative processes. This lecture explores the ways that temporality becomes incorporated into exhibitionary practices of encoding and decoding. I propose a new critical term for the mapping of time in displays – chronotopography – and characterize it as a task of the curator that has persisted for over two hundred years, since the act of walking in the Louvre was coded to be a form of virtual time travel through European art history. Chronotopography has been carried out in a variety of fashions since the nineteenth century, such as in Alfred H. Barr’s presentation of modern art as an evolution toward abstraction, a model that influenced art critic Clement Greenberg. To offer another example, Rosalind Krauss has revealed how, in the late twentieth century, modern museums became synchronic spaces that tended to dispense of history and frame art objects as assets rather than cultural patrimony. 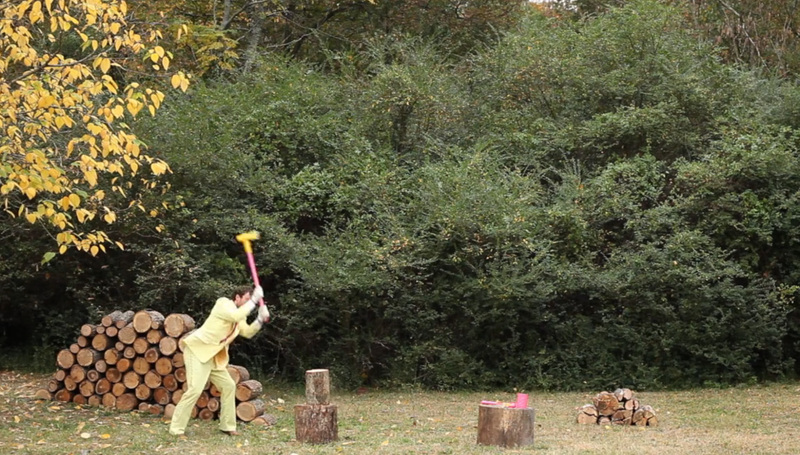 My intervention encourages contemporary curators to experiment with mapping new temporal display models that resist commodification and depthless bricolage via dynamic, historically-informed arrangements. By taking cues from installation artists who construct entangled genealogies rather than linear histories, as well as contemporary curators who chart unconventional relationships of influence and transformation, we will encounter new possibilities for engaging with art in the twenty-first century. 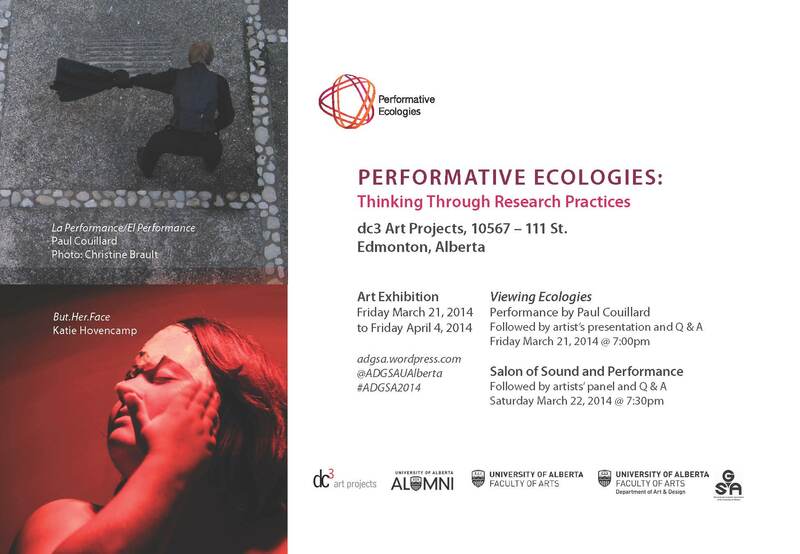 The ADGSA at the University of Alberta is pleased to announce our preliminary 2013 symposium schedule. Please stay tuned for further updates and panel information. Come support the ADGSA during this fundraising event for the 2013 Graduate Symposium and Exhibitions! Come celebrate the return of sunshine, warm weather and high spirits with art, music and friends. 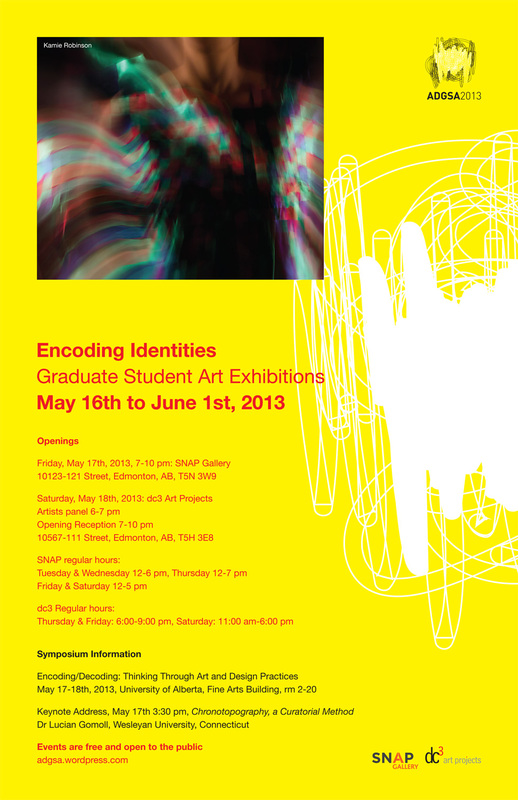 We are very excited to be hosting exhibitions in two excellent galleries this year in conjunction with the Encoding/Decoding Symposium at the University of Alberta. Please note that the CFP deadlines have been extended until the end of January. 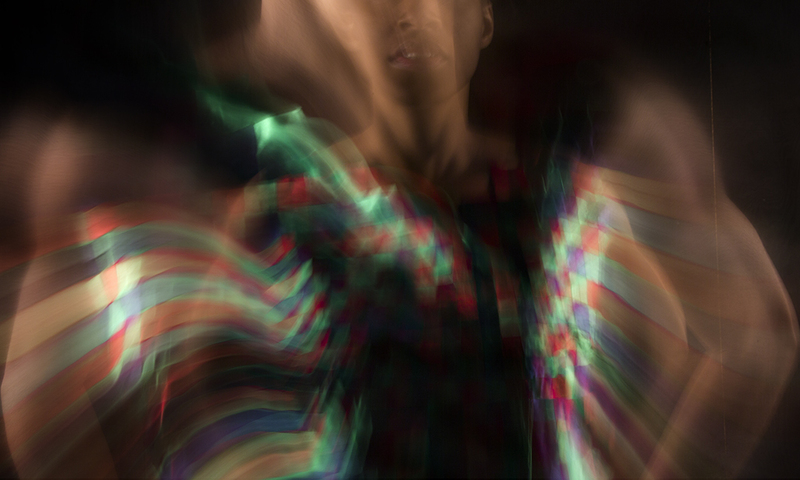 Paper proposals for Encoding/Decoding: Thinking Through Art and Design Practices and artwork submissions for Encoding Identities: Spectatorship and the Subject are now due on January 31, 2013. Here is an updated pdf of the 2013 ADGSA call for proposals for downloading. The ADGSA has officially released our Call for Papers and Call for Art proposals. 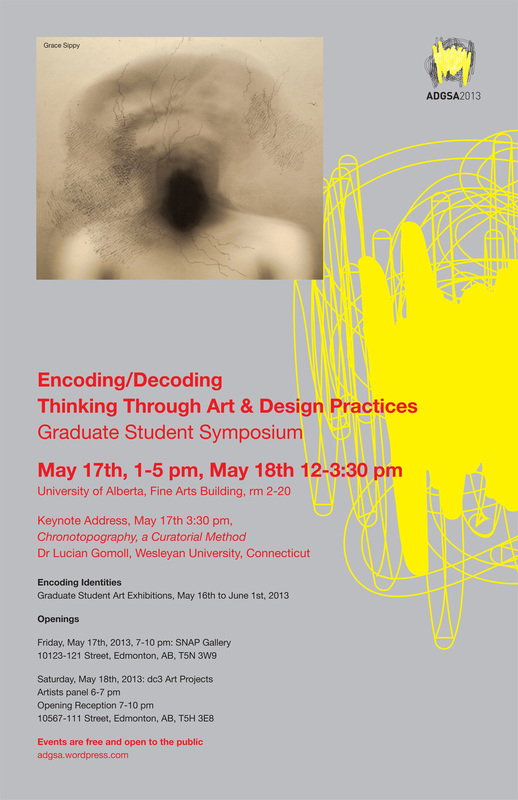 We are pleased to announce the graduate student symposium Encoding/Decoding: Thinking through Art and Design Practice and the related exhibition Encoding Identities: Spectatorship and the Subject. Please review the following pdf document for submission guidelines and details. The deadline for submission is January 15th, January 31st, 2013.